Boasts surprising amount of depth in combat. Ubisoft kickstarted its E3 2017 press conference with a short cinematic for Mario + Rabbids: Kingdom Battle. Surprisingly, Nintendo’s Shigeru Miyamoto was on stage to showcase exactly what the game is about. 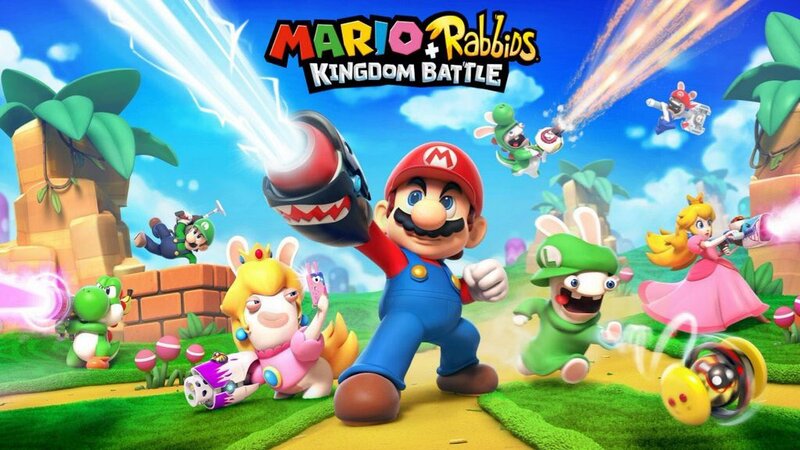 Mario + Rabbids: Kingdom Battle sees the Rabbids teleported to the Mushroom Kingdom. They eventually work with Mario to save the Kingdom somehow. The exploration aspect takes place from an overhead perspective – the actual combat is a tactical turn-based RPG where players will battle evil Rabbids. Why are they bad? Why not? Abilities for each character are showcased and players will be using movement options, Rabbid pipes for flanking enemies and defensive skills to defeat enemies. For a weird crossover, there’s actually quite a bit of depth to this combat. Mario + Rabbids: Kingdom Battle will release exclusively for the Nintendo Switch on August 29th. Let us know your thoughts on it in the comments below and stay tuned for more coverage from Ubisoft’s E3 presser.